Thank you for visiting. We hope that our website will give you an idea of our services and know-how. And if you have any questions, you will find contact details and a great team waiting to hear from you. NORDIC Shipping & Logistics is a capable and reliable name with…..
At NORDIC Shipping & Logistics we not only transport your goods…. As a trusted freight service provider with control of a large number….. If you are shipping to Africa, several countries require a waiver certificate….. Accurate and relevant documentation is critical when transporting goods…. At Nordic Shipping & Logistics, we fondly say that we are Scandinavian by blood and African by relation. Established in 2008 in Copenhagen, Denmark, we have a global reach and operate in all seven continents. RO-RO also known as roll on roll off is a term given to wheeled cargo which is driven on and off the shipping vessel as opposed to LO-LO which is lifted on and off in a container by crane. With Nordic Shipping & Logistics your RO-RO cargo such as cars, trucks, yachts, busses, machinery and other heavy cargo can be transported cost effectively and successfully. NORDIC Shipping & Logistics is a capable and reliable name with a track record of consistently delivering excellent service in the automotive industry for close to a decade. With our wealth of knowledge and expertise you can be rest assured that your precious cargo is in good hands. From luxury to sporting, vintage and classic automobiles, we can transport your valuable possession to a show, to and from the racetrack, to workshops, across continents and so much more. We have an extensive global reach and we ship to and from destinations worldwide. Wherever the choice destination we will get your ‘baby’ there in immaculate condition. Get in touch today for more information and a tailor-made solution to meet your exclusive car transportation needs. At NORDIC Shipping & Logistics we not only transport your goods from point A to B, we go the extra mile and can provide the relevant forwarding services to ensure that your goods get from the ground to its ultimate destination seamlessly, be that your customer, market, or final point of distribution. International freight forwarding is in our DNA, we are experts at preparing and processing customs and other documentation pertaining to your international shipments. As a trusted freight service provider with control of a large number of reefer shipments, we understand that every cargo is unique and has individual and specific temperature requirements pertaining to its shipping needs. Hence at Nordic Shipping & Logistics we work in collaboration with you to identify the special handling and storage required to get your goods to their destination in pristine condition. When you have temperature sensitive goods to transport, Nordic Shipping & Logistics have got you covered. Get in touch to find out about the competitive rates we can offer. If you are shipping to Africa, several countries require a waiver certificate (also known as a ECTN, BSC, FERI, BESC, BIETC, Loading Certificate etc etc) and a waiver reference included in the bill of landing, in addition to the usual shipping documentation to clear customs. Nordic Shipping & Logistics are seasoned professionals in the field of issuing waivers and can facilitate the process to ensure your consignment has a smooth transit through customs at its landing destination. We can arrange your waivers for shipments to all destinations which require the ECTN, below list should be up to date but please contact us as requirements are changing rapidly. Accurate and relevant documentation is critical when transporting goods and cargo domestically or internationally. The process can be delicate and complicated and when mishandled can create unnecessary and costly bumps in the transportation road for your cargo. At Nordic Shipping & Logistics we offer to do the hard work for you, and should you need help with arranging your documentation, you can entrust the process to us. We can handle the entire process, issue the documentation and send you a full set of documents for approval. Once approved, ofcourse we can send all original documents to your client on your behalf. Please contact us for further discussion on this matter, where we can establish your exact needs and do a tailormade solution which fits your requirements! If a Letter of Credit is involved in your shipments, you can entrust us to work out the documentation basis the L/C requirements. We are doing this every day and certainly can do on your behalf as well. The speciality of Nordic Shipping & Logistics will always be the African continent where we have personal experience and via our network of reliable agents can offer a full service up to the final destination of your cargo. Having worked with some of the biggest corporations in the continent, our extensive experience and reach in Africa is unparalleled and places us leaps and bounds ahead of the competition. In Africa, we have the expertise, connections and knowhow to arrange shipments of every kind of cargo to all destinations within the continent. We can arrange carriage of your cargo to both main ports and all inland destinations. Our agents throughout the countries can perform deliveries and custom clearances, and for vehicles, we offer a full-service delivery up to final receivers, including licensing and registration. When it comes to Africa, Nordic Shipping & Logistics goes where others can't and won't. Nordic Shipping & Logistics is an international full-service shipping and freight forwarding company with a difference. We are customer centric and have the personal touch. At Nordic Shipping & Logistics, we understand that one size does not fit all and endeavour to work in collaboration with our clients to find tailor made solutions to meet their shipping and logistics needs. Our reputation for exceeding expectations precedes us, from Exclusive car transportation to temperature controlled shipments amongst other services, Nordic Shipping & Logistics is committed to getting your cargo to its final destination in excellent condition. 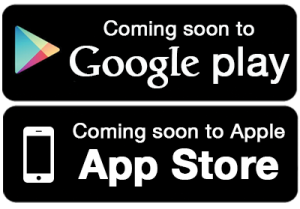 Our app – coming soon!